The Daily newspaper of the Economy wants to be a newspaper which does not obey any external pressure in the processing of its data. 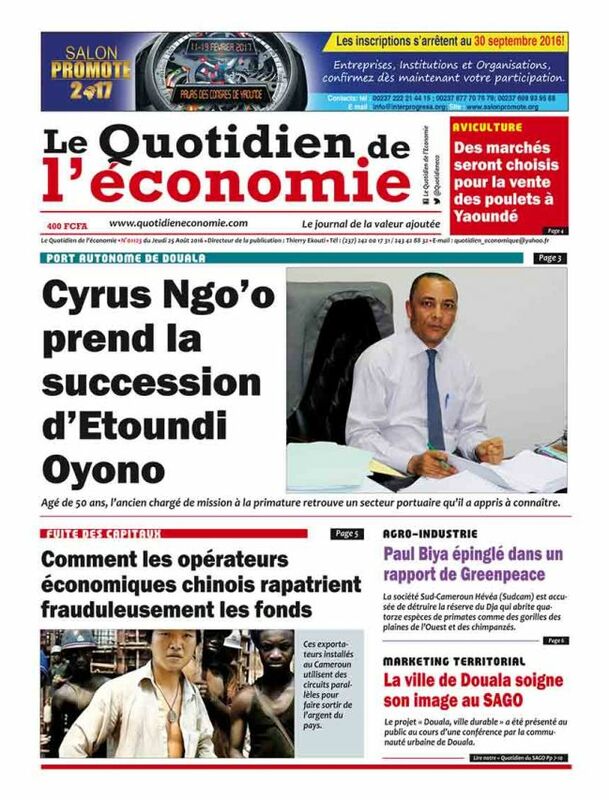 It describes and analyzes objectively the economic news of Cameroon, under-area CEMAC and the international one. L.Q.E puts in prospect the life for the business, the world of the companies as well as the state of the financial markets of our environment. Our columns are also posed, like a space of exchanges, diffusion of the ideas, where assumptions are outlined and where solutions appropriate to the expansion of our economy are sought.